How many times can you attempt to bring something to the big screen before it commits suicide? In the case of The Punisher, an intervention might be needed as none of the three movies really succeed in delivering as promised. Not to say one is massively better than the other, but I am partial to the original and that is what we will be reviewing. 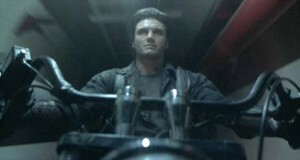 Officer Frank Castle watches as his family is killed, which causes him to become The Punisher. His only care in the world is enacting revenge on the local crime family or mafia that is responsible for the vicious murder of his loved ones. Not long into the movie we see that The Punisher, played by Dolph Lundgren, has dispatched so many mafia bad asses that the family has grown weak. This weakness has caught the attention of Yakuza, who intend to move in and take over. The Punisher must now team up with these mafia baddies and retrieve their captured children before it is too late. Dolph Lundgren is the best Punisher when compared with Thomas Jane in 2004’s reboot and Ray Stevenson in 2008. His menacing chiseled look and deep vocal tone fit the comic book character well. Not to say the other two were bad, but more or less just not as good. Louis Gossett Jr. Is always a great supporting cast member and helps to flesh out some of the acting duties quite believably. There is a scene later in the movie when Castle and Berkowitz (Gossett Jr.) exchange some verbal blows that really spotlights Gossett Jr’s acting skill. Jerone Krabbe as boss Franco also did a good job filling the stereotypical mafia don’s shoes. So why is it all the other Punisher character have the Skull image and Dolph’s did not? Some have chalked this up to licensing and rights, while others say it was a creative choice to leave that image out. Either way the iconic image needs to be presented. What would Superman be without an S on his chest? Budget and time constraints can really ruin a movie. The Punisher is no stranger to some degree. The sets and environments are very bland. Don’t get me wrong, I love a gritty and dark or washed out environment, but this was different. Everything was a crappier shade of gray or black. The sets and such looked very cheaply constructed, with the underground casino being an obvious culprit. Ok so, most comic book folks know this guy’s general story, but what about a movie goer with no idea? Be warned that there is no character development or explanation of “what” or “why?” You get a few little cut scenes/flashbacks and that is it. How does he finance the killing? How does he get supplies? What is the deal with this drunk called Shake that seems to know it all and tip off The Punisher whenever needed? Too many questions. You can see a rewrite/edit was done to shrink the runtime and the story lost on all fronts. Supposedly there is a DVD cut of this overseas that includes the additional story work and some more killing. I don’t believe seeking that out after seeing this will help, but feel free. A major gripe many viewers had was Dolph’s poor attempts at humor. His deliveries are so dry and boring. All of the humor seemed corny and forced when I first saw the movie. Having seen many Dolph flicks, including The Expendables Series, has helped me to appreciate his style of humor. I am a Dolph fan through and through, ’nuff said. 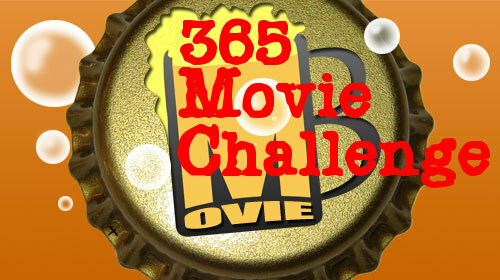 The movie requires the viewer to suspend disbelief for a bit. People will cruise down slides easily firing full auto rifles and not missing a shot, buses will naturally be bullet proof, and necks will snap like frail twigs. I, for one, love over the top violence and stuff, but you have to have a little base of reality. There is no way someone can belt off one hundred rounds from a machine gun consecutively and hit all targets. At least not this marksman. Hitting this flick with four beers does seen a little harsh but deserved. A lot of the stuff you will see in here would not fly with an R rating today: knives to heads, hitting kids and just random killing come to mind. If you want a solid 80’s action cheesefest with a massive body count, Dolph’s version of The Punisher will work just fine. Take a Swig: anytime Dolph’s rear end seems to be the camera’s focus. Pop a shot: each time you roll your eyes in cheesy disbelief. Chug a Beer: whenever Dolph attempts to be humorous. Throw a Beer Away: if you spot stone-washed denim. I’ll have to check this out and see how I like Dolph vs Ray Stevenson in War Zone.